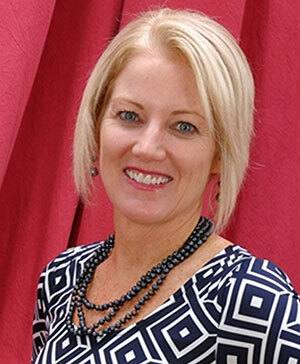 The Spokane Public Facilities District has announced that it has named current Spokane Convention Center General Manager, Stephanie Curran as incoming CEO. Kevin Twohig, District CEO, announced back in September that he will be retiring at the end of 2017. The District engaged Venue Solutions Group to lead a national search process and recently conducted a series of candidate interviews. Stephanie Curran, who has been an employee of the District since 2003, has served in many roles ranging from Event Supervisor to Assistant General Manager of the Spokane Convention Center and INB Performing Arts Center to being named General Manager in 2015. Stephanie brings a wealth of experience and knowledge in event and facilities management, community partnerships and fiscal awareness of the District. She is highly regarded and respected in both the greater Spokane region and the public assembly venue industry. This new Spokane location is set to open December 4, and they're enrolling now. To schedule a risk-free assessment, call 509-960-MATH (6284) or email spokanesouth@mathnasium.com. The website is www.mathnasium.com/spokanesouth. Congratulations to Spokane's Integrus Architecture. 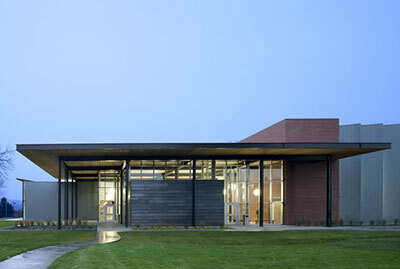 They received an Award of Excellence from The American Institute of Architect's Committee on Architecture for Education for their design work on The Music & Art Center at Wenatchee Valley College. You can see more Integrus work at integrusarch.com. George Balling and Mary Lancaster, owners of The Dinner Party, lived in Sonoma County, California for years before opening their wine and giftware shop in Coeur d'Alene 10 years ago. Upon hearing of the devastating fires that occurred in Napa and Sonoma Counties recently they knew they needed to do something to help so many that have lost so much in the region. Laurent Zirotti, 2017 James Beard Award semifinalist, and his wife Patrice who own Fleur de Sel in Post Falls wanted to help as well. That is when 'Uncork an Outpouring of Support' was born. Patrons are invited to a special meal of a bowl of cream of butternut squash soup with balsamic glaze and California Almonds and a glass of Kenwood Sauvignon Blanc or Kenwood Yulupa Cabernet Sauvignon will be available for a minimum donation of $20. One hundred percent of the proceeds will be donated to the North Bay Fire Relief Fund. This event will be held on Sunday, November 5 from 12noon-5pm at Fleur de Sel. The restaurant is located at 4365 Inverness Drive in Post Falls, ID. Reservations can be made at 208-777-7600. Evolve Fitness, a new Spokane Valley personal training studio, is open in a 1,700 square foot space in a multi-tenant building at 5615 East Trent. They offer Semi Private Group Training as well as 45 minute high intensity interval training in a small, personalized setting. Check them out on facebook at Evolve Fitness. For almost 25 years Anne Garrels was the senior foreign correspondent for NPR, reporting from Russia and the other former Soviet republics, the former Yugoslavia, the Middle East, China, Mongolia, and Iraq. She arrived in Baghdad six months before the 2003 U.S. invasion, stayed during the U.S. bombing campaign and continued to cover Iraq for the next six years. The Peabody-Award-winning journalist shares experiences from her book Putin Country: A Journey into the Real Russia and Naked in Baghdad, chats with SPR's Doug Nadvornick and Steve Jackson on stage at the Bing. After the presentation Ms. Garrels will meet and greet people in the lobby of The Bing. Auntie's Bookstore will also have the books available for purchase at the event. Reserved seating and student tickets with ID are available at all TicketsWest outlets and at TicketsWest.com. Proceeds benefit Spokane Public Radio. For more information visit spokanepublicradio.org. Flying Squirrel indoor trampoline park is coming to Spokane Valley in a former Hastings location at Sprague & Sullivan. The building is under construction but no opening date has yet been set. 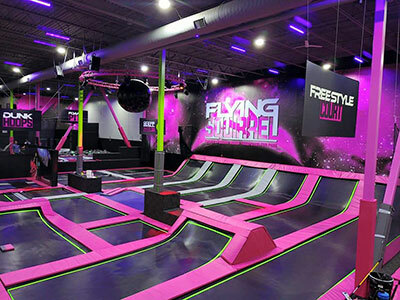 Flying Squirrel Indoor Trampoline Parks traditionally include more than just traditional trampolines. Get more information at www.facebook.com/flyingsquirrelspokane. 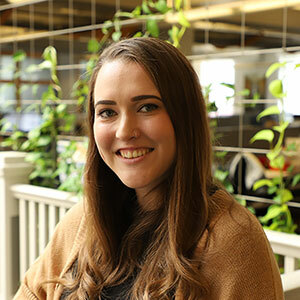 Mackenzie Roark has joined ALSC as an Interior Design Intern. She is applying her talents to projects including Jim Darcy Elementary School in Helena, Amistad Elementary School in Kennewick and the Northern Quest Resort & Casino Area 252 Expansion. Mackenzie is majoring in Interior Design and minoring in Business Administration at Washington State University. Dallas Low, owner of Golden Rule Brake, has announced that construction is completed on the new service bays to their north side location at 815 East Francis. Construction costs are estimated to be $90,000. Lexington Commercial built the additional service bays that are connected to the current building. This has added 1,474 square feet and two service bays to the already existing 2,378 square feet and three service bays. One additional employee has been added. Golden Rule Brake, with three locations, is a 3rd generation family owned business in Spokane, founded in 1954 on the 'Golden Rule': Treat each customer as we would like to be treated ourselves. This belief has been passed down throughout the years and is the primary reason Golden Rule Brake has been serving customers for over 63 years.